Finally this blanket is done! This took FOREVER! Each square is 7 rows x 7 rows and used double strands. Each colour made 4 squares. All up I used 12 balls of wool for this blanket. Crocheting them all together was slightly difficult only because of the size and weight of the blanket. 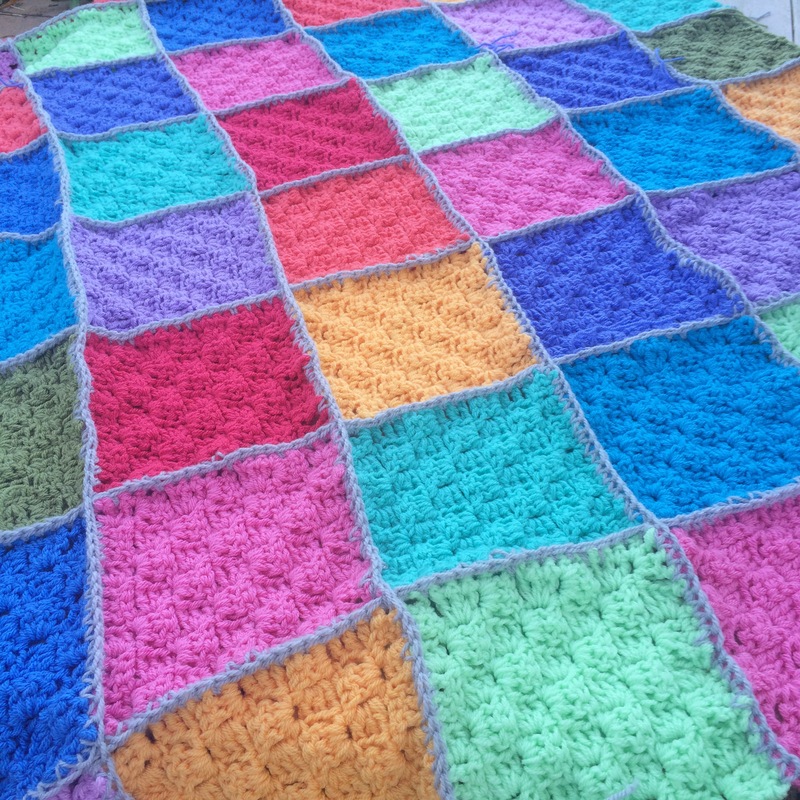 I choose simple grey border to finish this blanket off which I think adds to the brightness! I don’t think I’d make another one like this mainly due to the weight. This is yet another way you can modify the corner to corner pattern to make something unique!